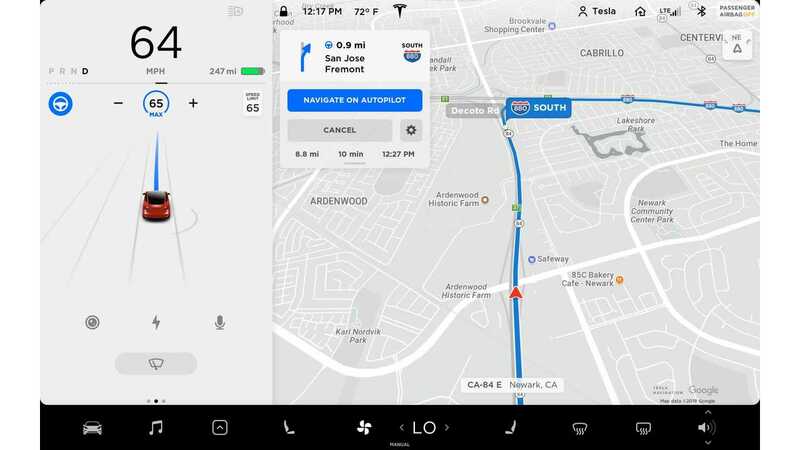 Approaching full autonomy on highways. 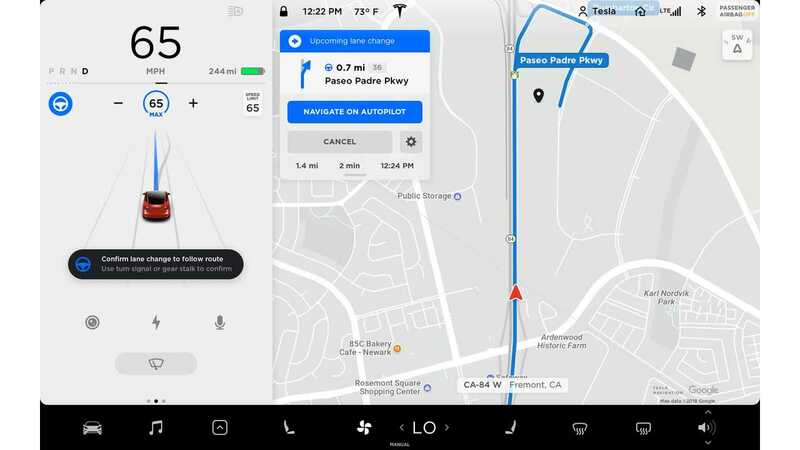 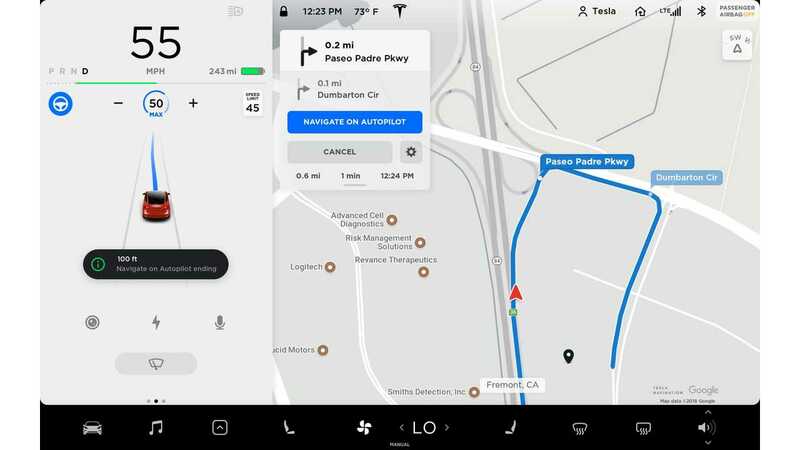 Tesla released a few new images of the Tesla Model 3's Navigate on Autopilot UI that shows us how it looks when the car drives in a mode that combines Autopilot with navigation. 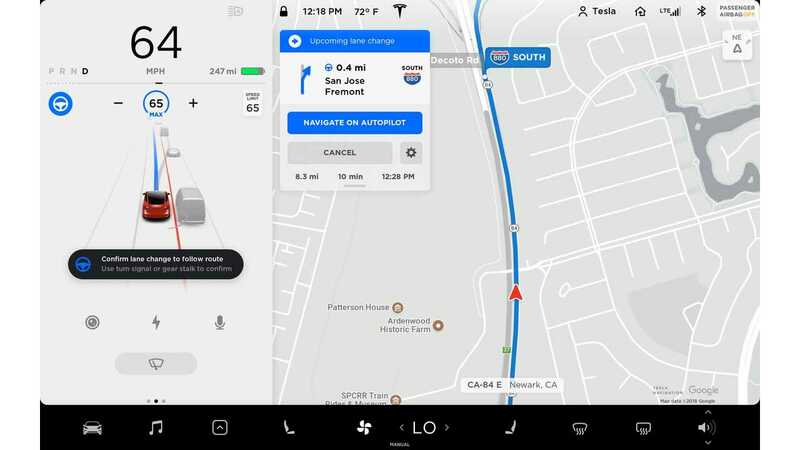 It's the first time a manufacturer introduced a feature that enables the car (in Max mode) to do route-based lane changes or speed-based lane changes and take its own exit off the highway. 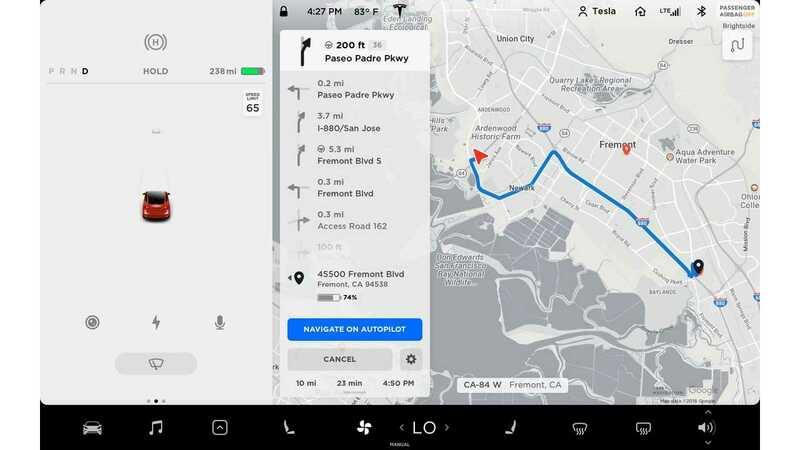 On the top of this post, you can find an extended demonstration video from one of the Model 3 users.